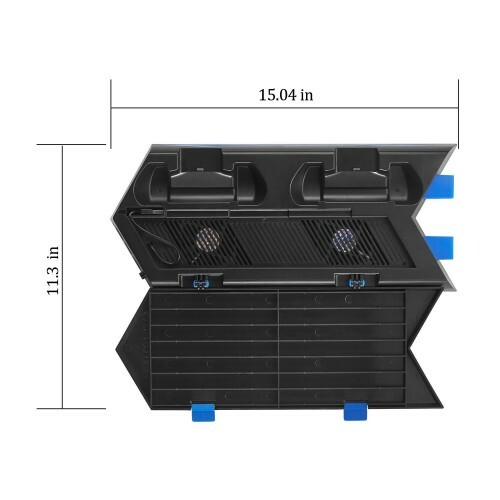 Keten PS4 Vertical Stand with Cooling Fan Controller Charging Station Game Storage and 3 Port USB Hub- An All-In-One Area . 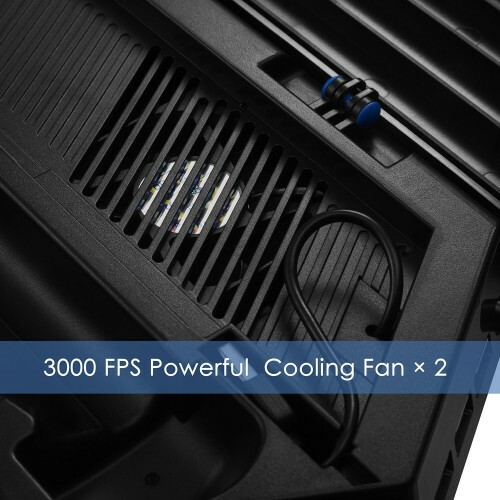 Whisper Quiet Fans: Keep your PlayStation 4 from overheating during long continuous gaming sessions. 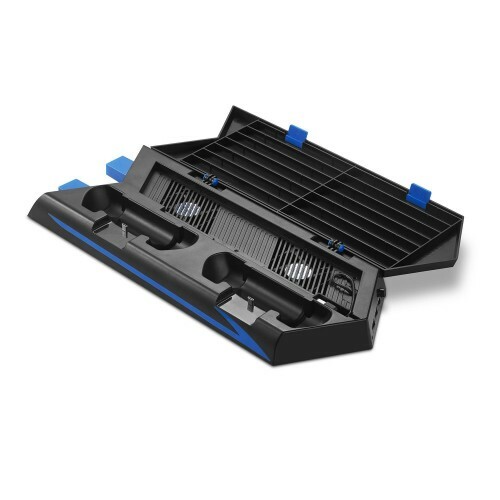 Succinct Appearance: Simply fold open the casing and the segments for the games, controllers, and system to live in. This stand does a good job at eliminating cables, there is no need for an external cable running into an outlet. 1. All-in-one Design: PS4 Vertical Stand+ Cooler+ Dualshock Charging Station+ Game Storage + USB HUB+ Controller Thumb Grips. 2. 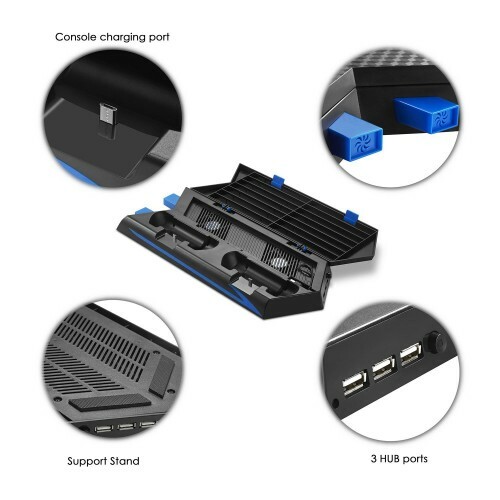 Multifunctional 3 port USB Hub allows you to charge mouse, keyboard, phones, tablets and other USB devices without using another wall plug for a dedicated charger. 3. USB Hub can also support headsets that use a wireless receiver, no longer have to put the reciver straight into your Playstation. 4. 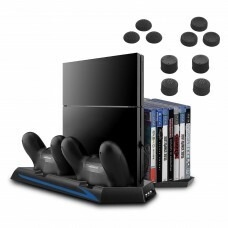 The controllers are easy to place in the charging docks the same way they do with the freestanding charging units. Just allows a controller to charge at all times while using the other to play with, switching out as needed. 5. You also get 10 stick thumb grips for the controllers, which are of different shaped pairs. 6. Simple Plug And Play, No Power Cable. Hit the power button after connected and you are ready to go. Happy gaming!